With the release of all eight jerseys for the World Cup of Hockey at once, we’re breaking them all down in geographic clusters: North America, Scandinavia and Europe. Today: Scandinavia. After: the jump. To their credit, Adidas didn’t put their logo prominently on the front of the jersey either (I’m looking at you Nike), and maybe that’s to leave room for future corporate advertisements. 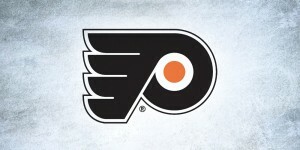 What they did do, however, was put their signature three stripes up the sides of every jersey. On some, it looks good and integrates well. On others, it’s the worst element on the jersey. 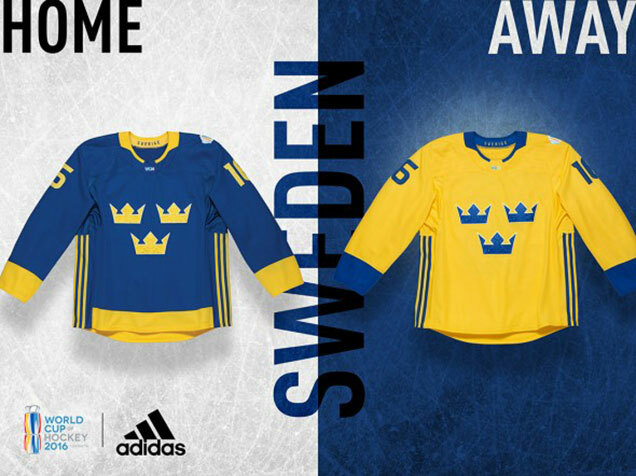 The most confusing part is that, on jerseys with a full stripe around the bottom of the jersey (like Sweden’s), they cut it off to allow the three stripes to go down to the bottom, instead of merging them together, for example. It’s a minor point, but one that causes a distraction when there doesn’t need to be one. Especially on Sweden’s blue jerseys. Otherwise, on these two Scandinavian jerseys (and aside from Sweden’s blue jerseys), they work pretty well. It looks great on Sweden’s gold jerseys, and Finland’s is minimalist enough that it compliments, rather than distracts, the overall design. When it comes to revealing a new Swedish national team jersey, you more or less know what you’re going to get. The vast majority of sweaters in their repertoire have the same logo, same colors and similar detailing, and the 2016 World Cup jersey is no different. 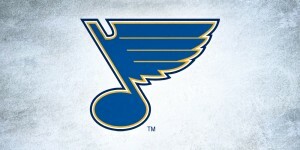 Solid blue and gold jersey? Check. Three crowns in the center? Check. Band along the neck, cuffs and bottom of the body? Check, check, check. This jersey seems pretty straight up, what you see is what you get, but let’s take a closer look at the details now, shall we? 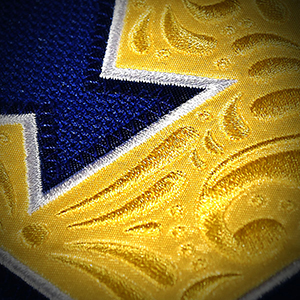 The texture gives them a richer, more regal feel and adds some depth to an otherwise quite basic jersey. Looking at the backs of these jerseys in particular, they almost have a soccer jersey-like feeling. Especially on the gold jersey, the Adidas striping on the sides is fairly predominant, contributing to the soccer-style vibe. With a total void of shoulder yokes, laces, stripes on the sleeves, or even additional stripes on the bottom, the style takes on a more pinny-like feel. 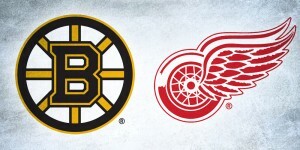 To break up the solid blue, Adidas could have opted to add a band of gold around the elbow, a second layer of striping around the bottom; anything to add another element to the sweater. This jersey was almost exactly what I expected, which didn’t make me spit out my coffee onto my computer screen, but it didn’t blow me away either. While there’s certainly nothing wrong with the current look, with the exception of the embroidery on the crowns, the design overall falls a bit flat and doesn’t bring anything to the table that we haven’t seen before. Finnish hockey teams have a long history of featuring the word “Suomi” (Finnish for…Finnish) on their jerseys, and this jersey doesn’t change that, prominently featuring “Suomi” in large block letters in a white band across the chest of the white jerseys. The white jerseys, oddly, doesn’t feature “Suomi” anywhere. And that’s pretty much the jersey. The coloured band continues onto the sleeves, but doesn’t wrap around to the back, stopped by Adidas’ three stripes on the side. Might have been nice to have the stripe wrap the entire jersey, and then outline the numbers on the back to compensate. I’m not crazy about the typeface however. A little bit too sterile and blocky. It’s very modern and minimalist, but has almost no character to it. And for being the most prominent feature on the jersey, that’s not a good thing. 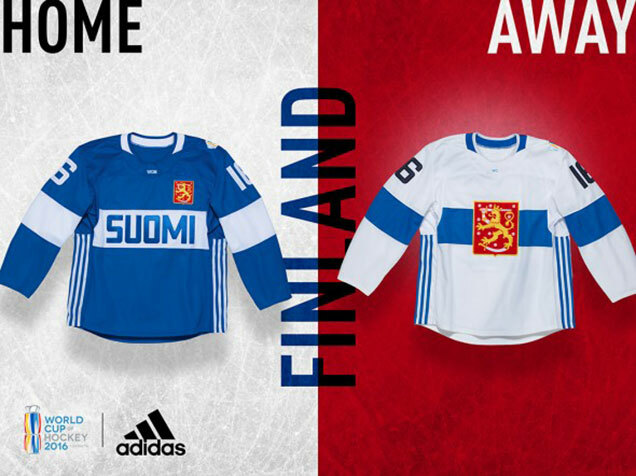 There’s an obvious visual connection with these jerseys to the most recent Finnish jerseys from the 2014 Sochi Olympics: a stripe across the chest and sleeves, blue and white, and the Finnish crest placed soccer-style over the heart. 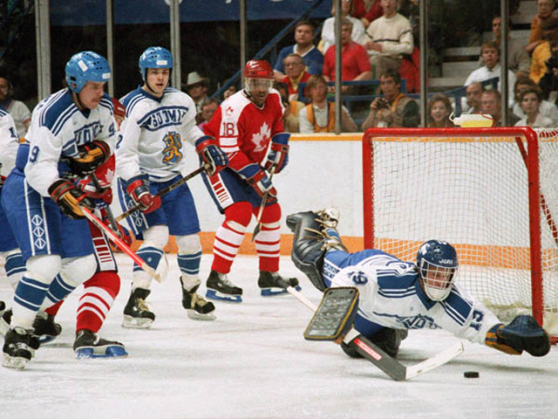 But gone is the vertical stripe to mimic the country’s flag (which is a good thing), and replaced with what could be a reference to Finland’s 1998 Calgary Olympics jersey – a large “Suomi”. This jersey is basically a spiritual marriage between those two Finnish Olympic jerseys. The simple blue and white colours are great: iconic and simple (and it’s a great shade of blue I might add). 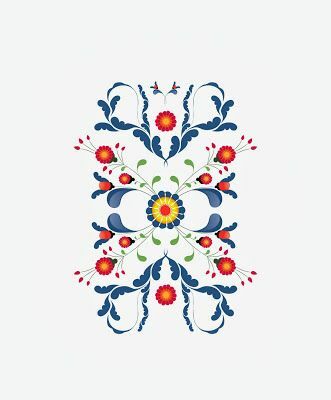 The simplicity of the “Suomi” is a bold choice and despite not having much else on it, it doesn’t feel like it needs anything more. The one odd thing is having a collar that changes colour from the front to the back. It’s a bit awkward, and keeping it a solid colour might be a better choice. 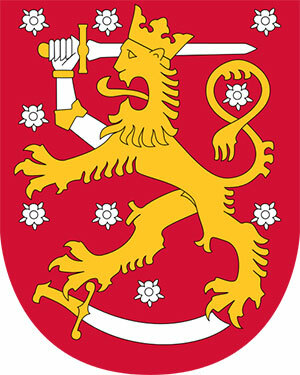 The only other element on the jersey in the Finnish coat of arms, essentially doing double-duty as the Finnish team’s logo. In almost every case, using a country’s coat of arms in this way is a no-brainer and an instant win. While it’s significantly downplayed on blue jerseys, it’s the only red element on there, so it still has a noticeable impact. On the white jersey, it plays a more conventional team logo role, and it looks great in that role as well. Clean, minimalist, daring, and continuing to establish Finland as owners of the blue/white stripe across the chest, it’s a great modern approach to a jersey that manages to avoid being too minimalist or too boring. The only major complaint is the choice of typography. Something with a little more character might have knocked this one out of the park. Agree? Disagree? Let us know in the comments or join the conversation on Twitter and Facebook! And don’t forget…we’re breaking down the jerseys from North America and Europe as well!